Today, the latest technologies in dentistry allow dental treatment to be completely painless. 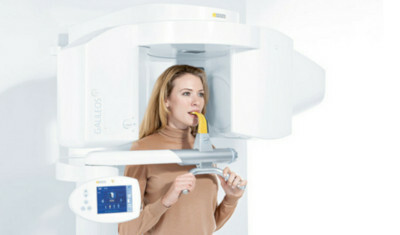 Our Burbank dental office introduces the latest modern achievements in technology. Computerization at all stages of diagnosis and treatment ensures reliable and efficient service for each patient. Let’s explore 7 technological advancements that make your dental visits more effective and more comfortable. Air abrasion is used to remove pigmentation and plaque from the top of the teeth. This system affects plaque with a strong jet consisting of a special therapeutic mixture based on abrasives, water, and compressed air. This solution is fed under pressure, carefully cleaning the surface pigmentation and plaque in hard-to-reach areas of the oral cavity. The basis of the abrasive is sodium bicarbonate (baking soda), so this procedure does not cause any danger to human health. The sizes of soda crystals are too small to damage the tooth enamel, but they perfectly remove plaque. When cleaning with an Air-abrasion device, both dense dental and soft subgingival plaque and biofilms with harmful bacteria are removed. In addition, pigmented areas are cleaned, pathological granulations are removed from the periodontal pockets, and the surface of the teeth is polished. Air abrasion technique is absolutely painless. So when it is performed, patients do not feel physical discomfort. The powder used during Air abrasion is fine and soft, which means that it does not scratch the tooth enamel and does not violate its structure. Cleaning is done under strictly limited pressure, so the soft periodontal tissues are not damaged. This procedure never provokes the development of allergic reactions. Brushing your teeth with an Air abrasion machine is an excellent prevention of cavity and gum disease. Teeth lighten as a result of the removal of tartar, plaque and harmful bacteria that provoke many diseases of the oral cavity. A dental laser is an innovative technology that provides accurate exposure, fast and safe treatment. It gently removes dead tissue and affected areas without affecting healthy dental tissue. The laser is used in various cases, such as: with cavities, the high sensitivity of the teeth, pathologies of the oral mucosa, for surgical operations. Treatment with a laser is completely painless, the patient does not even feel its effects. Accordingly, anesthesia is required in extremely rare cases. Computed 3D tomography of the teeth represents an innovative form of diagnosis. Computed tomography of the teeth, allows the Burbank dentist to get a complete picture of the state of your teeth and bone tissue. Having such an image allows the dentist to make correct diagnosis and build an effective treatment plan. The diagnostic procedure CAT scanner is simple and reliable. If we compare a similar procedure with another medical tomography, then in our case the amount of radiation exposure decreases many times. The total scan time is no more than 18 seconds (the actual exposure time is 6 seconds). A 3D snapshot of the teeth and jaws will allow the dentist to obtain comprehensive information about the entire dental system (360-degree overview). When Is Computed Tomography Necessary? In the field of endodontics (improving the quality and effectiveness of therapeutic dental treatment). Dental composites today are the main class of restoration (filling) material. 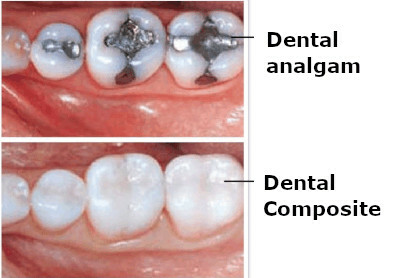 The advantages of composites over many other filling materials are high strength, which allows them to be used in any clinical situations (both on the front and on the chewing teeth); high and flexible aesthetic characteristics that allow you to manipulate the color of restorations and their brilliance in a wide range of values; high manufacturability when performing restorations; minimum polymerization shrinkage. For anyone who is afraid of dental interventions and postpones a visit to the Burbank dentist office because of fear, sedation dentistry is the ideal solution. Reception is fast, and the dentist is able to do more work at a time, thus reducing the number of visits. 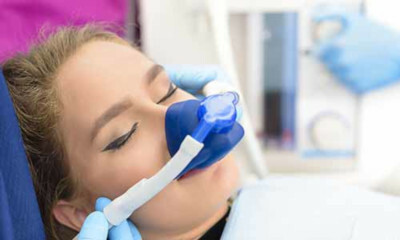 Dental treatment under sedation is necessarily carried out in conjunction with local anesthesia since sedation itself is not anesthesia. At its carrying out all vital reflexes and functions of an organism, and also the ability of the person to react to requests of the dentist remain. The patient is easily introduced into such a state and quickly leaves it. 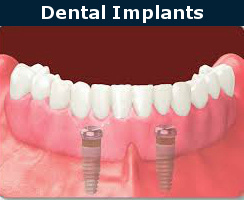 The dental implant is a metal pin implanted into the jaw, which holds the denture. Implantation is the perfect method of restoring lost teeth. Only dental implants allow you to fully return the functionality of the tooth, including the root, without involving the adjacent teeth. Consider the stages of tooth implantation, indications and features of the procedure. Dental implants, as a rule, serve at least 10–20 years. The term depends on the patient’s care of the oral cavity, the state of health, the quality of the implantation and the place of the installed implant. What does photography have to do with dentistry? The use of digital photography has changed the dentistry for the better. The photography provides a wealth of information for the dentist and patient. It allows you to choose the color of future restorations, to plan the treatment. A range of photos before and after treatment allows you to demonstrate the abilities of modern dentistry. Oral care products are constantly being improved. Thanks to new developments, new devices and preparations are emerging that can significantly improve the appearance and condition of the teeth. Modern technologies combine not only tremendous technical capabilities but also safety, comfort, and painlessness. 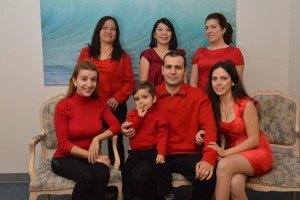 If you have any problems with your teeth, then the Burbank dentist, Dr. Sahakyan can help you. Please call 1-818-578-2332 or contact our dental office today.